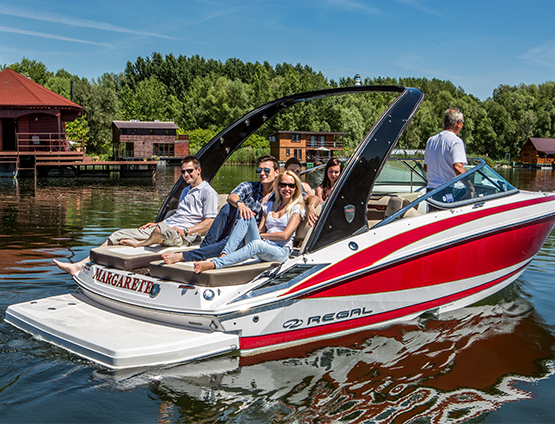 Hop on a speedboat and come with us on extraordinary adventures. 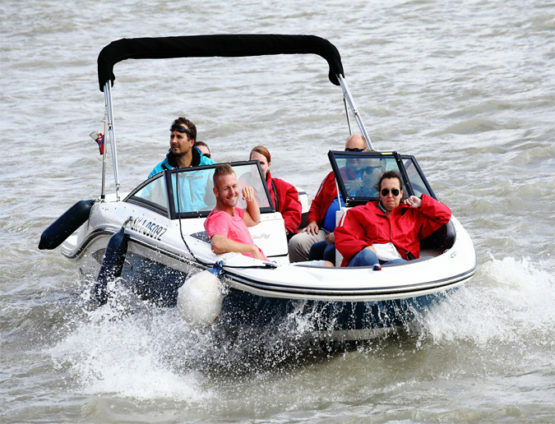 You´ll be accompanied by the wind in your hair, a smile on your face, splashing water, foamed waves behind the boat and a glass of sparkling wine in your hand. Visit to Devin castle, situated above the meeting of the Danube and Morava rivers, together with degustation of the traditional currant wine and Slovak specialities. You will also find here the memorial for victims of the communist regime, Sandberg with markings of the level of the prehistorical sea and active stone quarry with cargo port. You can observe birdlife and fishes on sonar here. 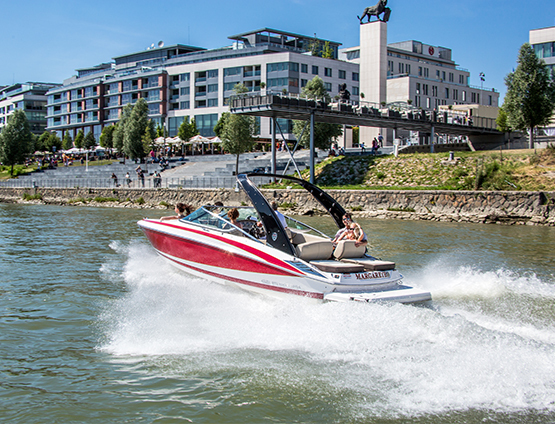 Adrenaline ride on a speedboats.sk coupled with a visit to a domestic brewery directly built on a ship on the Danube, or birds-eye view from UFO. 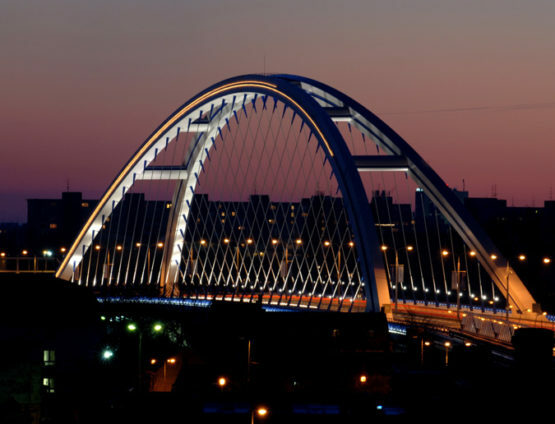 Gems of modern art in Danubiana and a monumental structure – Gabčíkovo dam. Ride to the water sports area – Divoká voda with a chance of rafting or other water sports and with great food (eg. barbecue). We will show you Čunovo waterworks (part of Gabčíkovo / Nagymaros dam). 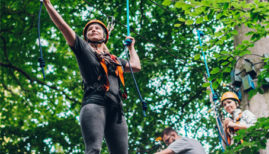 Activity Area near Čunovo, for your teambuilding. 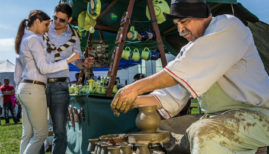 Orth an der Donau– national park with cultural and gastronomic opportunities. Hainburg an der Donau – only 10 minutes from Devin by boat. There are conference facilities like Altes Kloster Kulturfabrik, Hainburg castle, scenic view of the Danube from Braunsberg Castle and former Roman establishment Carnuntum. Karloveské rameno(branch) with it’s sizeable population of beavers where you can spot bite marks on trees as evidence and water-sports clubs right in the neighborhood. Area for water sports on a large river and also in Zemnik lake with a Rowing club. 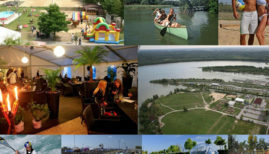 Čilistov – X-Bionic® sphere – Biggest sport – horse racing – congress area in the world with facilities for 27 olympic disciplines for up to 5 000 people and accommodation for 1000 people, including event areas, restaurant complex, conference area, aquapark with wellness and a lake. Only 15 minutes from Čunovo. 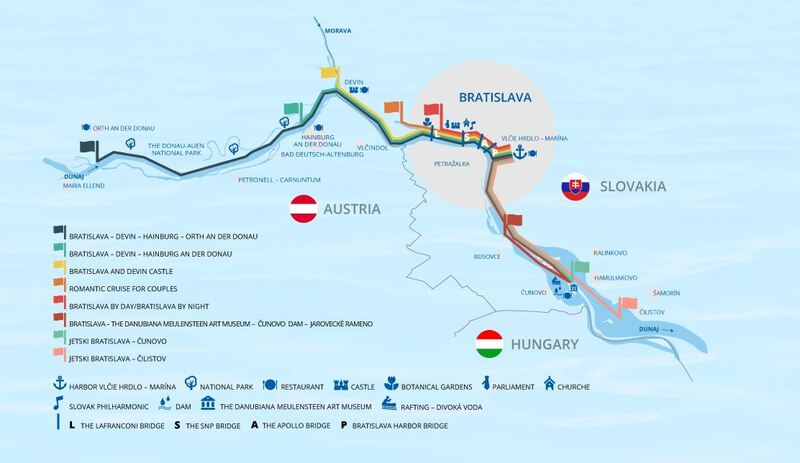 Pontoons: Hainburg and der Donau, Grand Hotel Riverpark, Devin castle, Danubiana gallery, Divoka voda – rafting, X-Bionix®sphere Šamorín. …and a lot of other services and alternative programs in accordance to your request. 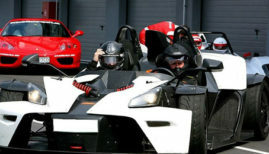 Unusual experiences and a great program will strengthen your position with your business partner or client, ensure you their favour in the future and increase the social prestige of your company. We prepare the programs made to measure and the price is calculated from the amount of provided services. 8-10 min. 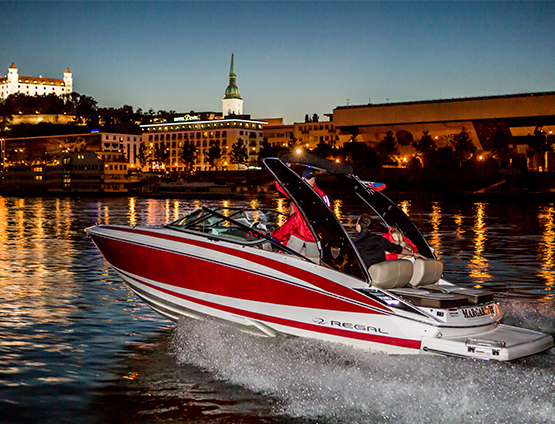 rides – Experience for everyone on speedboats.sk in Bratislava city centre or in Devin castle. 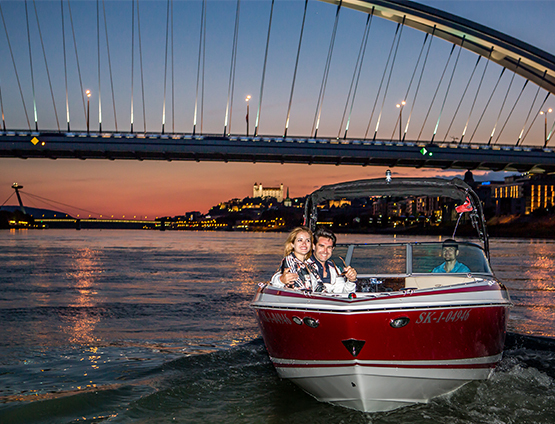 I would like to thank Tour4u for the unforgettable experience with Speedboats.sk – speedboat on the Danube! I really recommend it to anyone who wants to see the „Danube beauty“ right from close-up J I was thrilled. 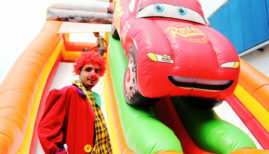 I had a lot of fun and it is appropriate for families with little children too. You have to experience it and you will want to do it again! Nothing to add, come and ride!